Great water views, private beaches and character on inviting Bell Island. Relax on the porch while taking in sunrises and sunsets or walk a few steps to the sandy beaches of Bell Island, Rowayton's most sought after neighborhood association. Open floor plan for casual entertaining or quiet family times. Living room w fireplace & built ins flows to kitchen w breakfast bar & dining room w corner cupboards. 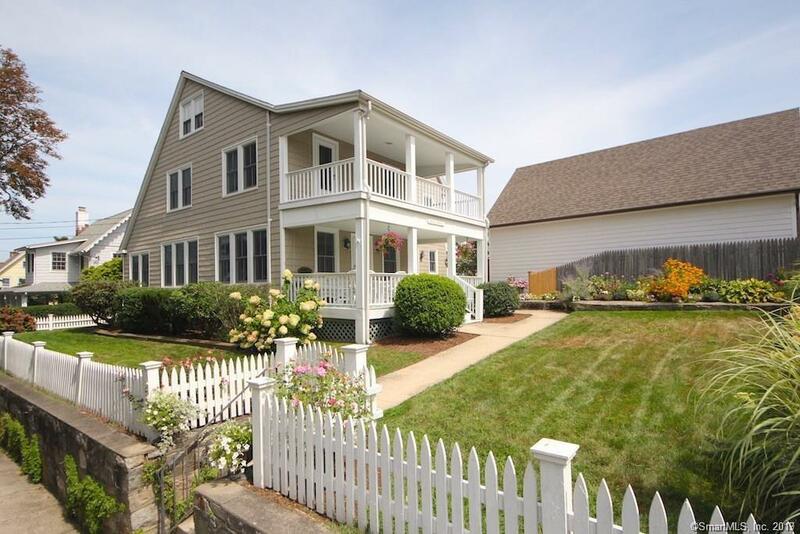 Spacious master suite w large deck overlooks Long Island Sound. 3 additional bedrooms, family room, updated baths, new windows and new siding, full garage and off street parking. A rare find at this price and out of the flood zone too! Boat mooring availability. Only 60 min to NYC. Come and enjoy the summer of 2019 in Rowayton! Directions: Bluff Ave. To Bell Island. L On Brown Pl, R On Yarmouth. Park On Street.